You'll like it, mosquitoes won't. You’ll like the ease of wearing our bracelet. (Even swimming with it won’t hurt its remarkable effectiveness!) There’s nothing to “maintain,” nothing to renew – just slip it on and wear it throughout the day and evening. You’ll also like the pleasant aroma as you open our double-sealed package. It tells you it’s working! Most of all, you’ll like the way it repels mosquitoes and discourages them from biting. And that it stays effective for at least 3 full weeks, guaranteed. Other products may have similar-sounding ingredients, but are not as effective. No other mosquito repellent product has the proven Dr. Rechell polymer technology. No other mosquito repellent spray, liquid or device has such a great combination of benefits. No wonder millions of Dr. Rechell bracelets have already been sold! How can Dr. Rechell last three weeks, when other products last only an hour or so, or don’t even work at all? The answer is the technology that our bracelet is made with. It’s not just a plastic, it’s a special polymer material made to encapsulate the all-natural repellent ingredients. The repellant is bonded within the entire bracelet’s molecular structure, for slow release over time. This controlled, time-release effectiveness is guaranteed to last 3 full weeks. No maintenance, nothing to add. Just slip it on and wear it! Furthermore, the efficacy has been proven in clinical tests by independent laboratories, both in the lab and with humans out in nature – proven to decrease number of bites. Longevity has been tested, too. Effectiveness was found to be even longer than the 3 full weeks we guarantee. Dr. Rechell mosquito repellent products are manufactured by AB7 Industries, a specialist in biotechnology since 1972. The exclusive BornWith® molecular formation that makes Dr. Rechell effectiveness so long-lasting was developed in our own in state-of-the-art laboratory and manufacturing facilities. The Dr. Rechell anti-mosquito bracelet is made in France, not China. MILLIONS of Dr. Rechell anti-mosquito bracelets have been sold in Europe. Now available in the USA!!! 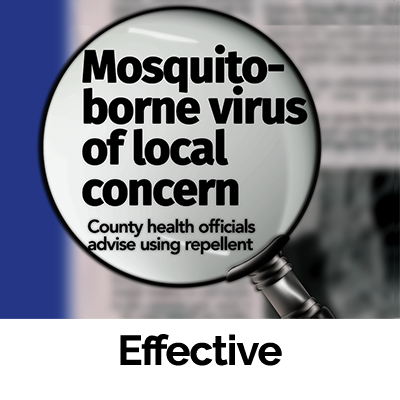 Q: What are the active mosquito-repelling ingredients? Q: Do similar sounding ingredients work? A: Ingredients that sound the same don’t necessarily work the same. In fact, according to testing by an independent laboratory, those other ingredients may not work at all. And no other mosquito band has the exclusive Dr. Rechell BornWith® molecular technology for gradual controlled release over 3 full weeks. Q: How do I know the bracelet is still working? A: To assist in quality control, each package carries a lot number. If you opened the double-sealed package less than three weeks ago, it’s working. You can confirm this by holding it up to your nose – you’ll detect its pleasant citrus aroma. And you’ll experience far fewer mosquito bites, if any. Q: How do I open the package? A: The product is double-sealed to preserve its repellent qualities. We suggest using scissors to cut inside the inner seal on three sides. Q: Dr. Rechell is popular in Europe. Does Europe have the same kind of mosquitos? A: The same species of mosquito tested in Europe (Aedes aegypti) is found in North America, and carries Zika and West Nile viruses, dengue fever, and encephalitis. 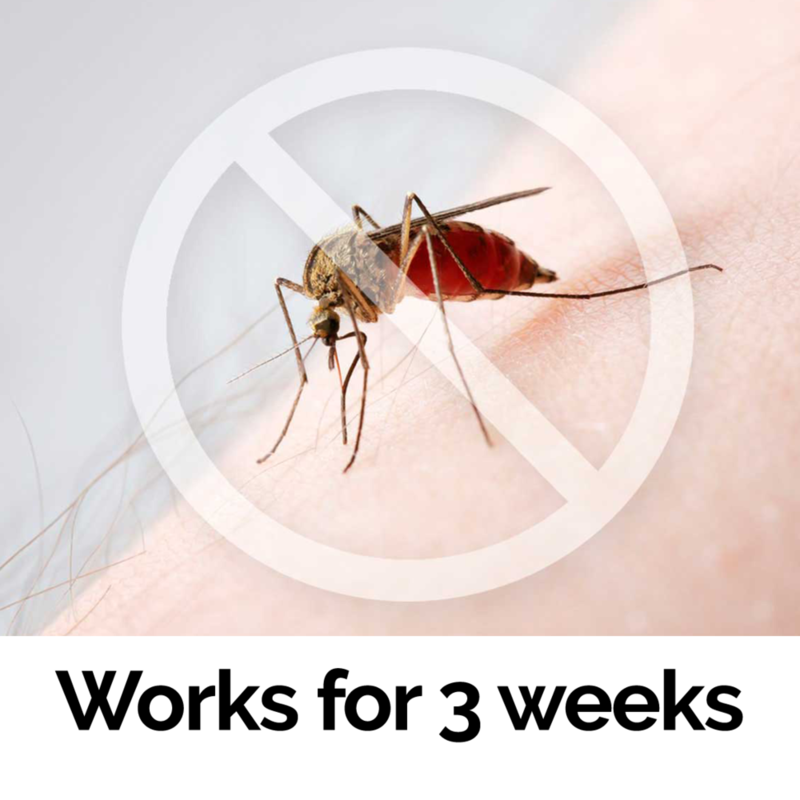 Dr. Rechell products reduce biting by this and other species of mosquitos found in North America. Q: Does water reduce the Dr. Rechell bracelet’s effectiveness? A: No problem. The bracelet is impervious to water and perspiration. Whenever exposed to air, it releases its effective ingredients in a controlled manner. Unlike liquids, sprays or oils, you do not need to reapply anything. Q: Is the Dr. Rechell bracelet 100% effective? A: No repellent is 100% effective. But Dr. Rechell products significantly repel and greatly reduce the number of bites, where similar products may not. Q: Can I wear your bracelet under clothing? A: Yes. However it will be more effective in repelling mosquitos from your exposed skin if you leave the bracelet also exposed. Q: The Dr. Rechell bracelet is DEET-free. What’s wrong with DEET? A: DEET is a chemical found in many insect repellent products. It is a repellent, but recent studies suggest that it is not as effective as once thought. It might not keep mosquitoes from detecting your breath, which is one factor that attracts mosquitoes. Studies also suggest that a mosquito may eventually “get used to” DEET, reducing its effect. And many people want to avoid DEET because it has been found to affect the nervous system and have other health effects. Maybe the most telling factor is that DEET-based products advise washing them off when no longer needed, and not to apply DEET under clothing. In contrast, you can wear the Dr. Rechell band under clothing, and for as long as you want. Q: Where can I get the Dr. Rechell anti-mosquito bracelet? A: It’s carried by various retailers around the US. If not in a store near you, email us, and we’ll let you know. We'll keep your email and other information to ourselves.